Like all art forms, preparing a good base for hand coloring is like stretching a canvas for painting, so every imaged placed in the app is stripped of color and transformed into a classic Black & White, a dreamy Luminescent or an aged Vintage photo we call a Background Effect. To keep your painting organized and in control, we give you Layers and a handy Selective Color tool to define areas for accurate brushing. Both features are designed to keep color where you want them. For the base of your hand tint we transform your photo into a classic Black & White, a dreamy Luminescent or an aged Vintage—the choice is yours! 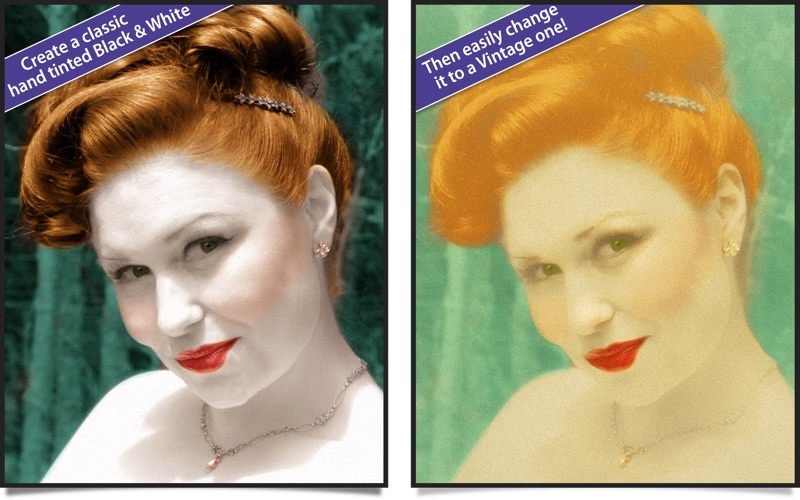 Black and White—turns a photo into a classic black and white with options to adjust the RGB channels. A strength slider gradually blends the photo's original colors back in, if desired, for a variety of customized looks before the tinting process begins. 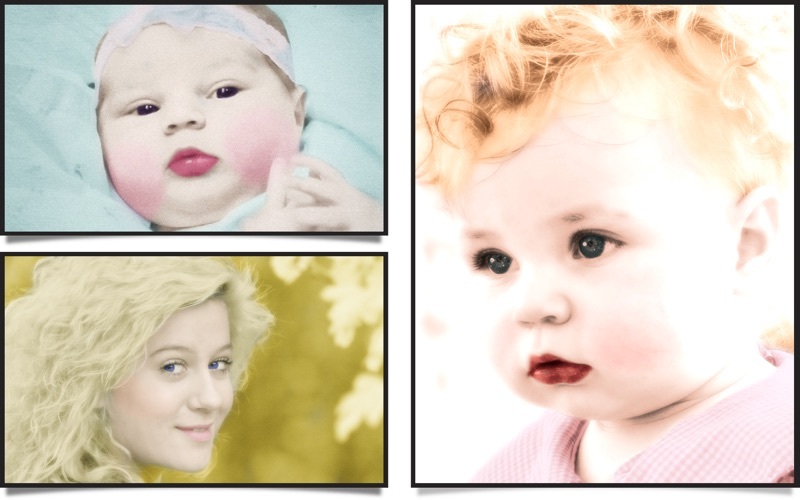 3 Layer Styles—Colorize Layer allows the original color to be brushed back in, Paint Layer allows customizable coloring using paintbrushes and color palettes, Auto Paint Layer allows original color to be removed, and a base layer called Background Effect to change photo effects styles on-the-fly without changing the hand colored layers above it—this allows you to be creative without repainting the image. 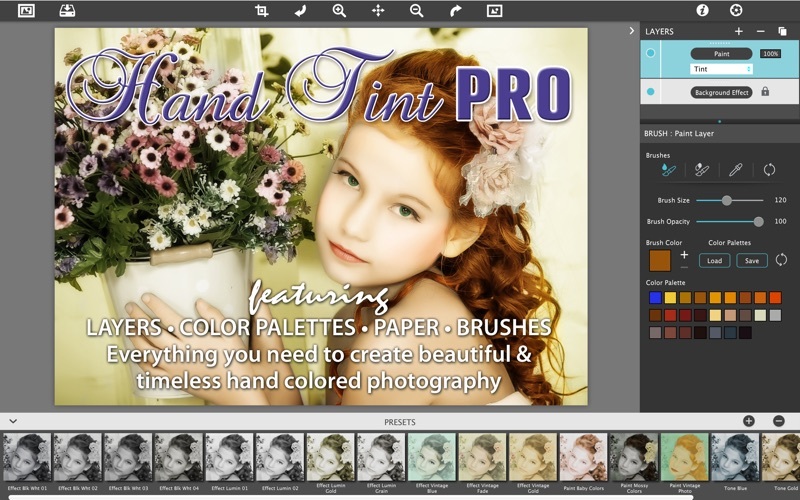 Layer Modes—on every layer feature Color, Tint, Tone, Multiply, Soft Paint and Paint modes. 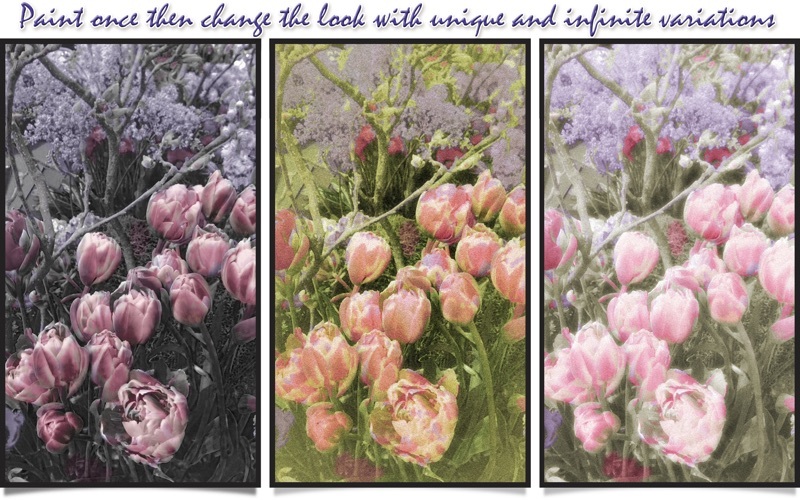 These modes are designed to change the look of painted or colorized areas for unique and infinite variations. RGB Sliders—found on the Background Effect allow for pro mixing of light and dark areas in the Black & White and Luminescent effects. 25 Color Palettes—consist of multiple swatches created for seasons, hair color, eye color and skin tones plus 2 Romantic palettes for dreamy gardens and seascapes. 3 Paint Presets—with layer styles and brush colors already in place for learning and understanding the layering process. 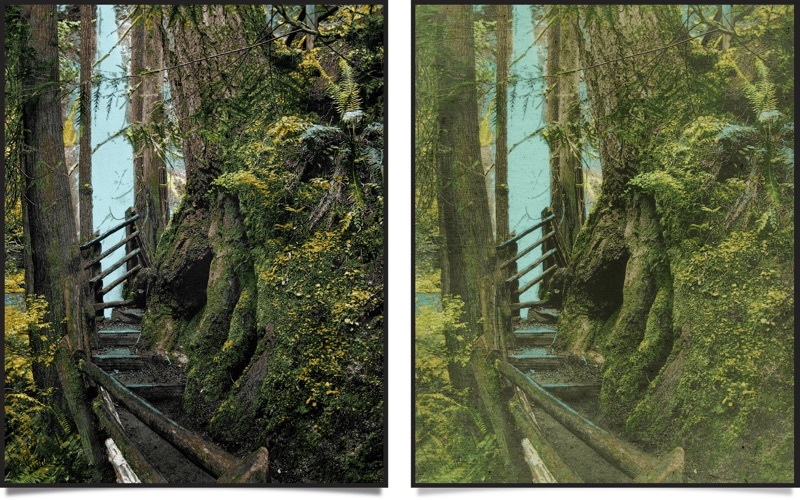 Save Project—will save your hand tint project externally, or share projects with co-workers and friends. This feature keeps all layers and brush colors in tact. Every JixiPix App comes with Superior Customer Service, Support for High-Resolution Images & Output, Multiple Undo, Randomize Button, Quick Previewing and Customizable Presets. Mobile versions can Email, Print, and post directly to Facebook, Instagram, Twitter and Tumblr. Updates for rendering engine to handle new Graphics cards.